Need Your Damaged Car or Truck Windshield Repaired in Atlanta, GA? We specialize in mobile glass repairs – we’ll bring our glass repair shop to you! Ask anyone who’s had damage their to windshield how convenient it is to have it repaired. It usually means setting up an appointment with a glass shop (during work hours) and you’ll be without your vehicle for a period of time and possibly need to make other transportation arrangements. No wonder more people don’t get their windshields repaired! 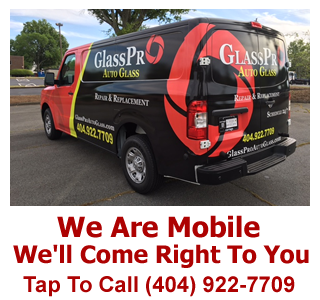 Glasspro is a mobile glass and windshield repair company based out of Atlanta, GA. We specialize in mobile glass and windshield repairs on cars, trucks, and even commercial vehicles. With our completely mobile and well equipped mobile glass shop we can right to your location and carry out the necessary glass repairs right there while you work, play, eat or relax, it’s up to you. If you need to have damage to your windshield or automotive glass repaired then trust the expertise and convenience that Glasspro offers. 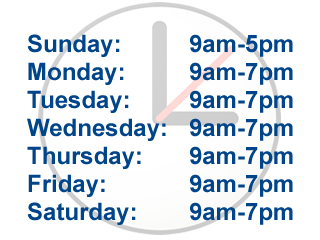 When you setup an appointment with us we’ll be coming to you at a convenient time and location that won’t disrupt your day. 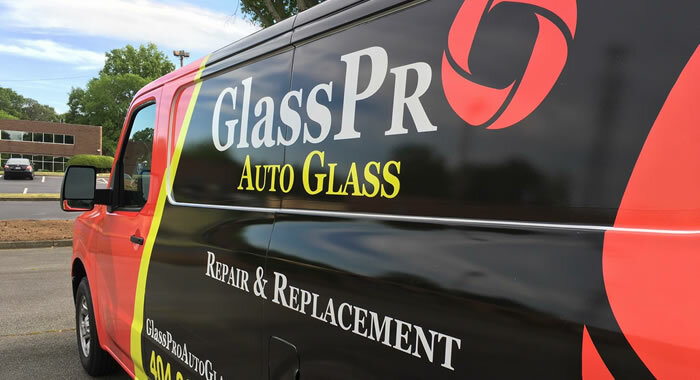 Give Glasspro a call today or fill out our online form (remember to include a photo of the windshield damage) and we’ll get back to you right away.